Why yes, we did take part in the South Shore Frolics Parade this year, though we had a small crew, our small crew is quite dedicated… to having fun! We managed to build a float to promote Maker Faire Milwaukee, and put Karen on a phone book so she could see where she was going, and we also convinced Chris to put the Makerspace flag on his bike and ride really fast so it would wave in the wind. 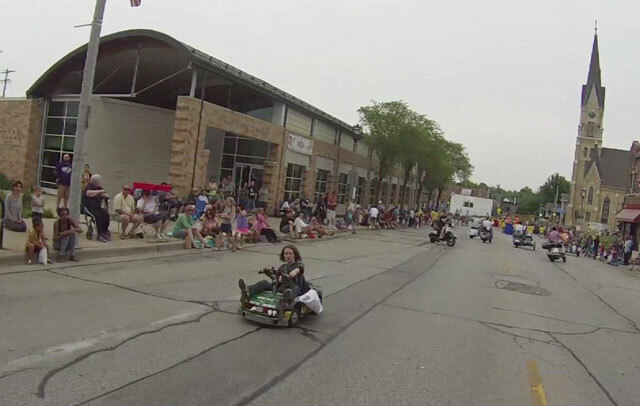 Thanks to the GoPro camera mounted on my head, we were able to capture some of the action during the parade. So enjoy the view from the top of my noggin! Do you know what time it is, kids? It’s time for the South Shore Frolics Parade! That’s right, Bay View, the lovely neighborhood we do our making in, has its own parade, and it’s happening at 11am sharp on Saturday, July 12, 2014. The parade starts at Kinnickinnic and Linus, and travels down Kinnickinnic Avenue towards South Shore Park. If you’re a maker and want to join us, show up at the space around 10:45am and we’ll head over to the line-up. Feel free to walk or ride a bike or some other contraption you’ve built. We might even have a few modified Power Wheels rolling for the event! We did it before, and we’re doing it again! 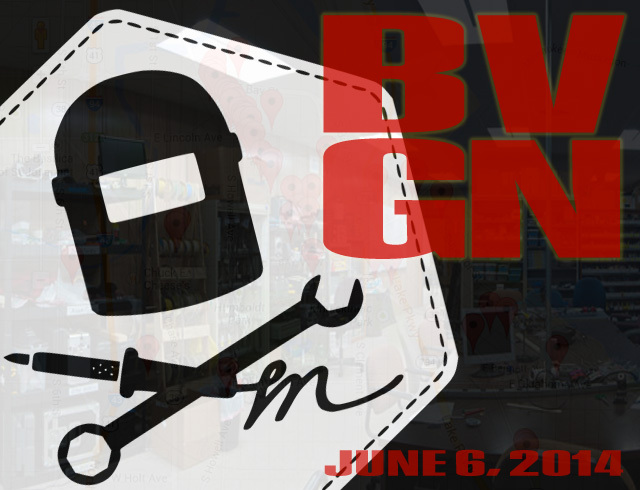 Get ready for Bay View Gallery Night, happening on Friday, June 6th, 2014. Join us from 5pm to 10pm for art from local artists, as well as demos of various things around the space. Interested in learning more about blacksmithing, making armor, screen printing, lasers, crafting with CNC machines, electronics, boat building, tiny electric race cars, fighting with magnets, giant industrial robots? * Come on down! * While other venues may have a few of the things mentioned, we have all of these things in our 16,000 square foot workshop for crazy people! We hope to return next year, but in the meantime Mike snapped a few photos during the parade. 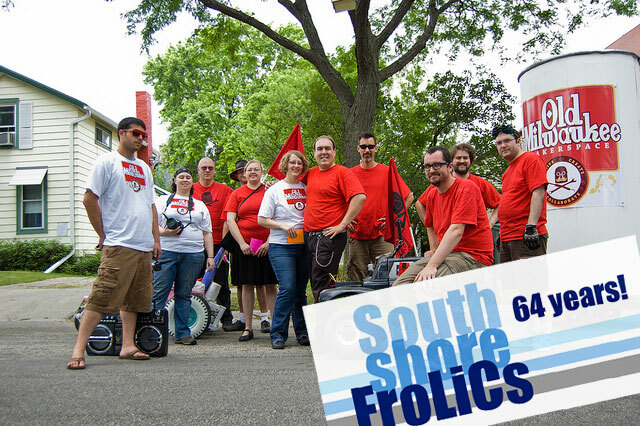 Remember way back in 2011 when Milwaukee Makerspace took part in the South Shore Frolics Parade? Well, I guess we were so awesome that they had to skip a year, but it’s back, and so are we! That’s right! The Parade is Back! South Shore Frolics is this weekend, and you’ll want to catch the parade on Saturday, July 13th, 2013 at 11am. The parade begins on S. Kinnickinnic Ave. near E. Smith St. and proceeds south on Kinnickinnic Ave. before turning northeast on S. Ellen St., and finally east on E. Nock St. to South Shore Park. 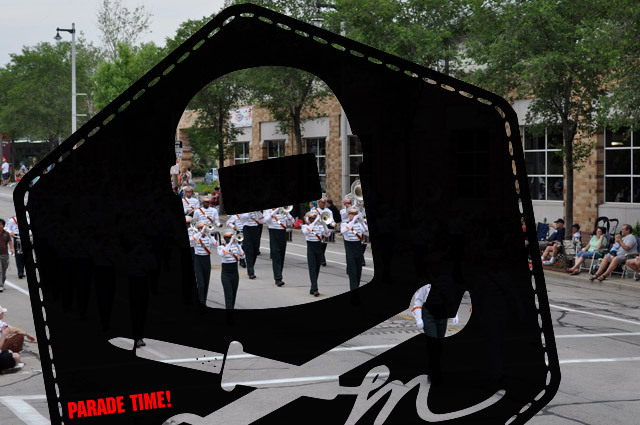 This is known as “Milwaukee’s Best Parade” and we hope to help it live up to that reputation… So what are we planning? In the words of Dr. Song: Spoilers!